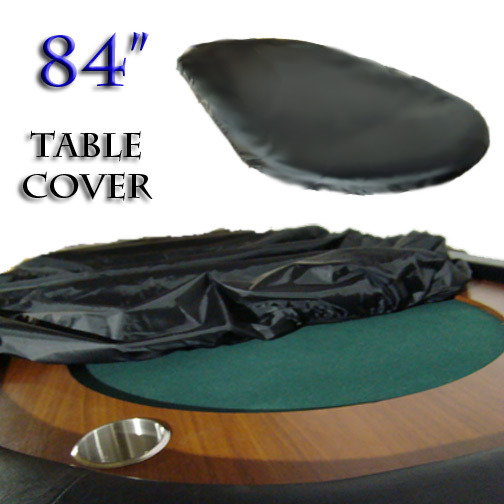 This Vinyl poker table cover fits poker tables up to 84 inches long. If you have a nice poker table, you definitely want to keep it protected. Don't let dust settle into your felt and keep regular day to day accidents from damaging your table top. Made of black heavy duty vinyl material, this table cover has elastic bands that run around the edges to enable and easy and quick custom snap to fit any poker table. Most any poker table that is shaped like an oval will be able to fit with this table cover.